The companies could adopt a school and employ quality staff with good qualifications. They can also provide sanitary facilities, better infra-structures, free uniforms and stationary and provide opportunities for extra-curricular activities. The companies can donate computers to the students of rural areas and provide free computer education and enhance their IT skills. 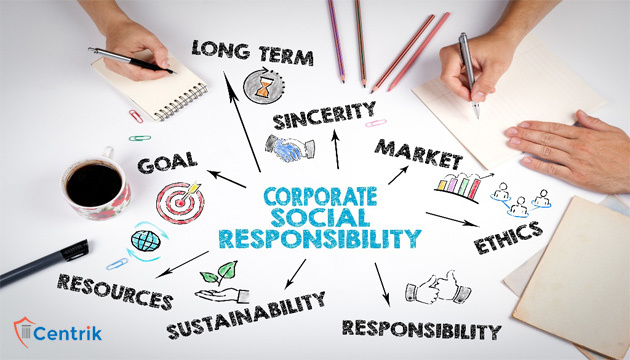 The companies can work together with NGO’s and help them out by contribute in kind or monetary value. The companies can provide free health check-ups and distribute free common medicines in rural areas. The companies can organize blood donation camps in various cities. Company can contribute research material/ machines to schools and colleges to enhance their skills. Companies can provide funds to the students of lower income classes to carry out research and get their works published. The companies can organize food camps and encourage the general public to donate how much ever food they can, which can later be given away to, say an orphanage or an old-age home. The companies can donate money, new clothes, toys and other needful things to an orphanage. Few Companies continue to serve as a catalyst to transform the industry by setting a new standard for valuing and investing in workers’ lives. The company can drills or restores wells, provides water purification systems or implements new water-providing solutions to deliver new sources of clean water to those in need. Sustainability Community development and preserving the eco system. The company can have climate change policy that maps its carbon footprint and is creating an abatement strategy for sustainable manufacturing. Employability programmes focused on building skill of youth. This can also be the one of the initiative to preserve Indian Art and cultures in the heart of indians. Focus on agriculture and farmers problems.